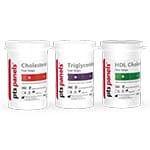 15 Multi-Panel Total Cholesterol+HDL+Glucose test strips for CardioChek PA/Plus Analyzer offers a simple, convenient method for large-scale testing of risk factors for 2 of the most common disease states: cardiovascular & diabetes. 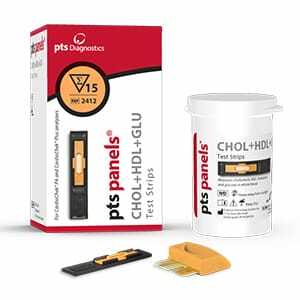 This panel, tests values for total cholesterol, HDL cholesterol and glucose. In just two minutes, you’re able to use this information to assist in diagnosis and treatment (or referral) decisions. That’s a turn-around time that can dramatically improve patient care and caseload efficiency. 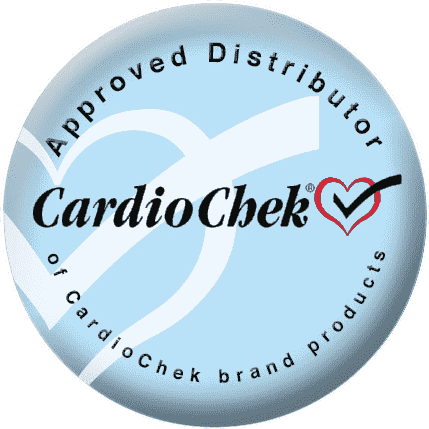 The CHOL+HDL+GLU panel for use with the CardioChek PA point-of-care instrument offers a fast, easy and convenient method for large-scale testing for two of the most common disease states: cardiovascular disease and diabetes For use with the CardioChek PA Professional Blood Testing Device Only.